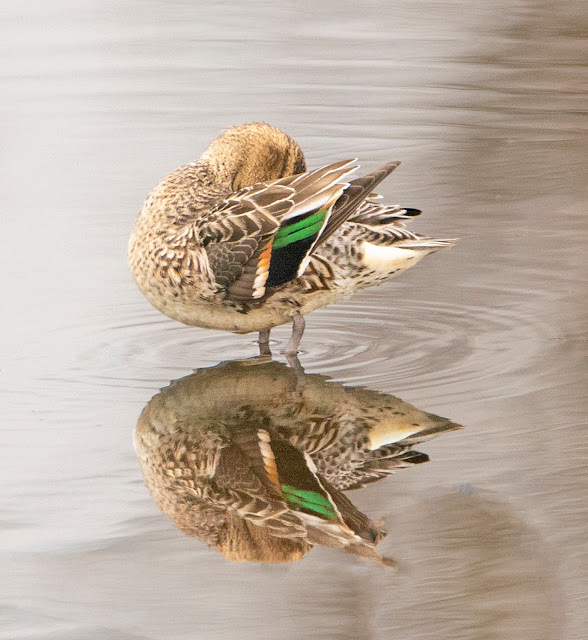 The photo could just as easily have been called "Reflections of a headless duck" but "Shy" will do just as well. I don't know how Gloria is able to get all these incredible shots but I am very happy that she is willing to share them with us! Thanks for your kind words, Diane! The creatures love having a showcase for their portraits:) BTW, no secret to getting the shots: just spend lots of time around birds with a camera in hand.